Are you ready for some serious pink love? I am. Paper lanterns, paper chandeliers and Origami mobiles were suspended from the ceiling. Everything looks so kawaii. There were so many kokeshi dolls! They even have 5 life-size 3D kokeshi dolls at the stage to beautify Zoe’s party more. I love it. Their table centerpieces look so sweet and dainty. Is there anything more feminine than these? Here’s Little Zoe from 1 month to 12 months. This sure is a great way to document our child’s growth. After looking at Zoe’s adorable cake (by Tazzy Cakes) together with all those yummy looking sweet treats (by Sugar Plum Pastries), I am so in the mood for some deliciousness. For Zoe’s guests, different activities, food carts and shows kept them busy the whole time. They gave out these personalized craft kits filled with washi tape, origami paper, japanese sketch pad, craft punch and Muji colored pencils. Here’s the little miss, Zoe and her big brother. I Like and luv the theme. The colors and every element complements well. Awwww I so love that last photo, just so sweet! omg! those colours dolls and origami looks deifitely amazing!! love the amazing set up! i know i have seen so much party themes here already, but still, each time, I can’t help but say, “ohhhhh” from deep admiration. love them. 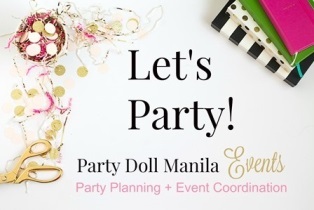 ..any girls would love that super duper uber cute party. Such a cute birthday celebrant and as always awesome themed party. Like the color. I love the kokeshi dolls! I wanted to have one of those since I was a kid. Lovely party! And those takoyaki balls were huge! Yum! This is really beautiful that is why I enjoy looking through your posts. The parties you feature never fail to amaze me. First birthdays are really special. I’m sure Zoe would love seeing photos of her beautiful 1st birthday party with this lovely theme when she’s all grown up. who will not be smittened with this so cute and girly theme? even me is so hooked with it, I find it adorable. The loveliest colours, oh am geee! I am with Teresa, the parties you feature here never fails to amaze me too. Hi, Joanne! Tickled pink to be invited to be featured in your blog. I love the way you described the details 🙂 I will save this and show it to Zoe when she is bigger. More power to your site! Loved the Zoe party, which where can I get the life size. 3d kokeshi dolls.